When purchasing an everyday wristwatch, you want to keep things simple. Trusted craftsmanship. Complications that are actually useful. And a head-turning design. All of which can be found in Oak & Oscar’s third release: The Jackson flyback chronograph, of which only 400 pieces will be made. If you’re familiar with the Chicago label, you know the names of their timepieces are no small matter. Here, the Jackson refers to Jackson Park, where, on Thanksgiving 1895, the first official road race began and ended. The 54-mile Chicago Times-Herald race took about eight hours, with an average pace of 7 MPH. The release joins the three-hand Burnham and Sandford GMT in Oak & Oscar’s collection, and with the newest number, the upstart brand is really flexing its horological muscles. 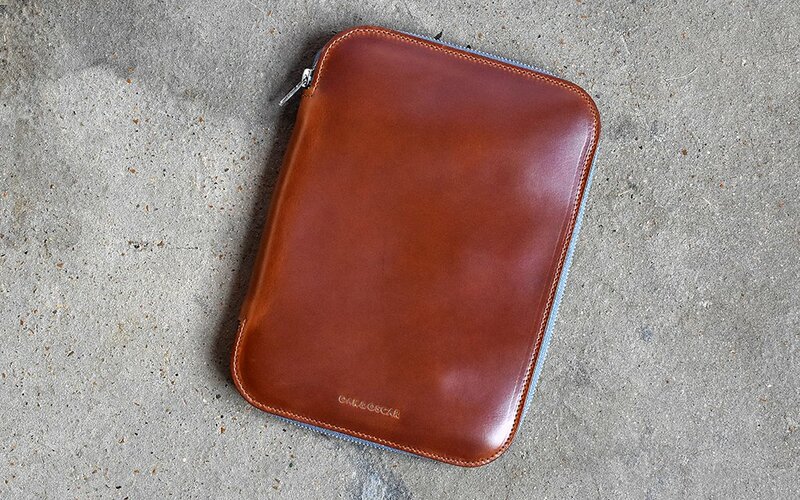 For the Jackson, Fancher sought out a top-of-the-line movement, worked with a new Swiss production company and expanded the partnership with Indiana leatherworkers Woodnsteel. The end product is a stainless steel and leather beaut: a 40mm manual-wound flyback chronograph with 60-hour power reserve, two subdials (one stacked) and Super-LumiNova indices. 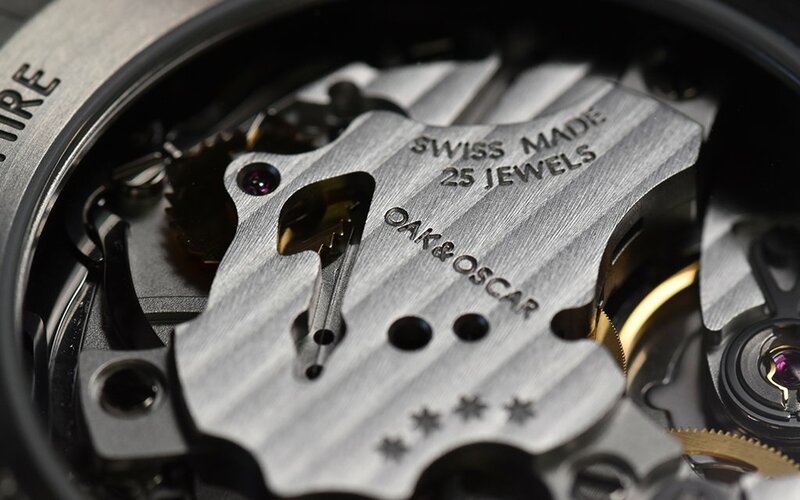 For a watch aficionado who travels the country after each release to show off his new wares and speak directly with potential customers, picking out an enticing movement is just one example of an acute attention to detail. 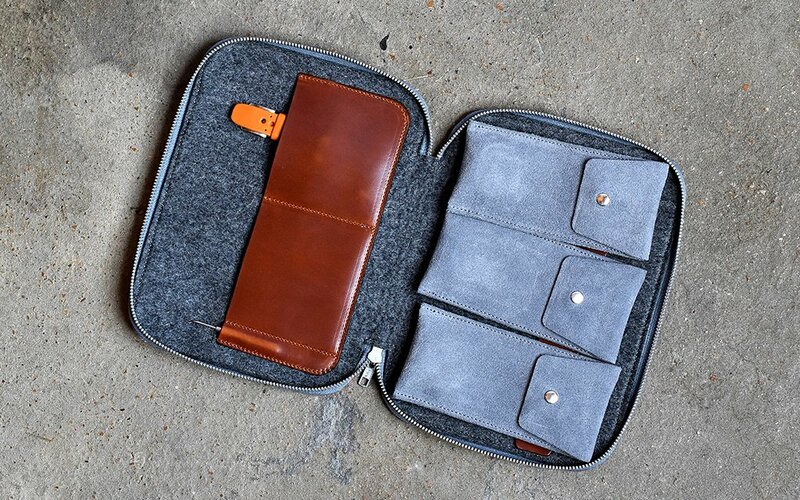 Another is the leather, from the included tapered strap and orange rally strap to Oak & Oscar’s watch wallet. 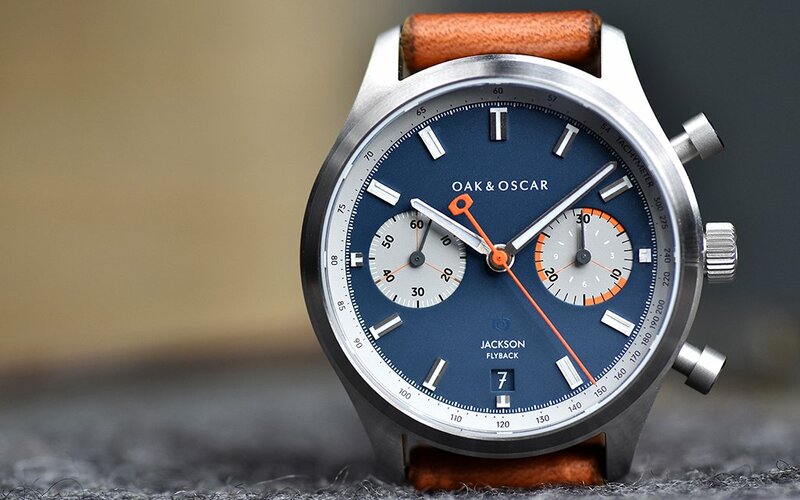 Oak & Oscar’s first watch (The Burnham) sold out of 300 pieces in less than a year. The Sandford, their second, sold out in less than seven months. So you can bet your britches the Jackson will go faster, despite there being 400 available (150 in grey, 150 in navy and 100 in charcoal PVD). And since pre-sale pricing (happening right now) will get you $200-$300 off the retail price, best get them while they’re hot.